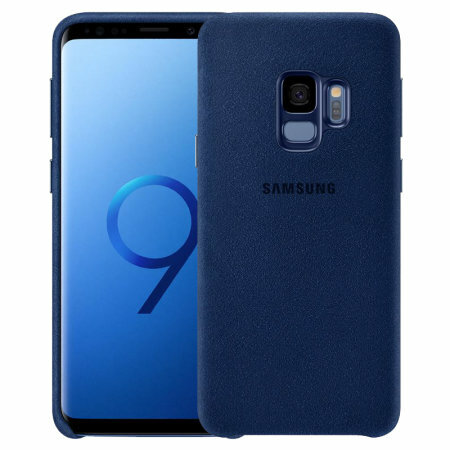 Protect your Samsung Galaxy S9 with this Official Alcantara case in blue. Stylish and protective, this case is the perfect accessory for your Galaxy S9. Had great reviews online so thought this would be a good product. Looked great at first but being fabric it quickly started to look not so great. Collects lint and dust and dirt get caught around the edges. Perhaps my handbag is just dirty but not impressed and not worth the money. Have now ordered a different case. This is a great case,and looks beautiful on the S9.It feels expensive in your hand and it's not slippery.I have got lots of comments from people asking where I bought this case .I would recommend it. The case feels robust, tidy and great in the hand. It fits just how it should and does not impede any of the functions of the phone. Perfect for anyone looking for a high quality case,which is a bit different.